While perusing a Reddit thread bemoaning all the wasted and unused materials languishing in most U.S. labs, Anna Birge, Quality Manager at AstaReal, a biotechnology company in Washington State, came across a mention of The Reagent Project (TRP). “It all started from there,” she says, of this chance comment-box encounter. Because it turned out, TRP was exactly what she had been searching for. Shortly before, Birge had made another discover—a storage container filled with miscellaneous lab equipment, purchased at auction, that no one at AstaReal had ever used and that she needed to relocate to free up some much-needed square footage. “We didn’t even have any paperwork with pallet breakdowns, to give you an idea of how unknown it was,” she adds. And her unearthing of this mystery stash came at a fortuitous moment. Drs. 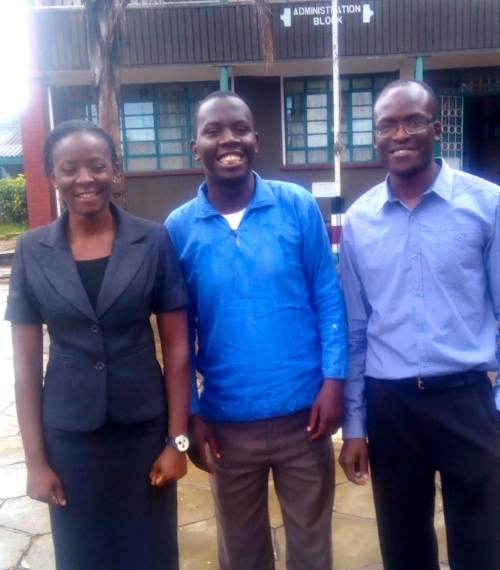 Annette Busula (Medical Entomologist), Victor Shikuku (Chemist) and Felix Saouma (Physicist) from Kaimosi Friends University in Kenya. Both Birge and Shikuku reached out to The Reagent Project—which then kicked into science-cupid action. “The most satisfying aspect of the job is finding homes for expensive, specialized equipment with a scientist who really needs it—and suddenly feeling that spark of, aha, that would be a match made in equipment heaven,” says Reagent Project Founder, Dr. Marcella Flores. In Kenya, only nine of the 55 public water sources provide a continuous water supply, and the high-cost of treated water puts it out of reach of approximately two-thirds of the population. 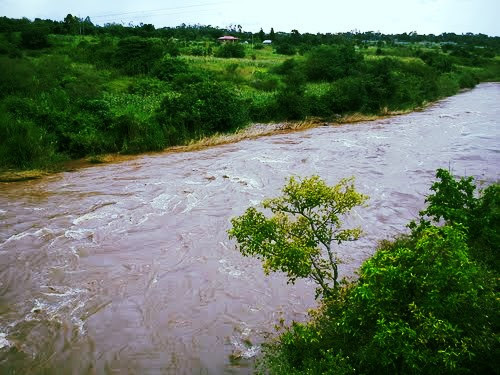 As a result, approximately 41% of Kenyans rely on unimproved water sources—like ponds, shallow wells, and rivers—that are often polluted by industrial and agricultural run-off. And the impact can be deadly. Approximately 3,100 children die each year from diarrheal diseases. AstaReal is a global company dedicated to creating a healthier world by developing antioxidant supplements and other alternative medicines that can prevent lifestyle diseases, as opposed to focusing on treatment for people who are already sick and suffering. Intent on maximizing her company’s ability to fulfill that mission of marshaling its resources to promote global wellbeing, Birge submitted a list of 26 pieces for potential donation to TRP, should the proper researcher in need of one of her items surface. In the case of the XRD 6000 diffractometer—an instrument that analyzes the structure of any given substance through diffraction of x-rays—it was an instant TRP match. “The XRD will be of significant impact on my research,” says Shikuku. “Currently, I have to send samples abroad for [XRD] analysis. It will save time, help train graduate students and laboratory technicians, and help boost development of novel materials.” Another boon, he adds, is the fact that the 50 to 60 undergraduate chemistry and physics majors he teaches each semester can use the XRD to take a crack at applying classroom concepts in the real world—helping improve not only water quality, but local scientific know-how and research, for decades.